The United Nations Educational, Scientific, and Cultural Organization (UNESCO) has declared 2019 the International Year of Indigenous Languages (IY2019) —“in order to raise awareness of them, not only to benefit the people that speak these languages, but also for others to appreciate the important contribution they make to our world’s rich cultural diversity” (UNESCO IYIL2019 website). In Canada alone, approximately 230,000 Indigenous people currently speak one or more of the 60 dialects within the 12 linguistic families; most of these languages have been listed by UNESCO as either vulnerable or endangered, some critically—including several dialects of Inuktitut, which became the official language of the Northwest Territories, Labrador, and the territories now known as Nunavut in 1984. Not only does language play an important role in identity, knowledge, and culture, it also plays a critical role in passing on cultural knowledge and traditions. In 2015, the Final Report of the Truth and Reconciliation Commission drew attention to the ways in which Indigenous languages had been threatened by the genocidal actions of the residential school system. The TRC also created “94 Calls to Action” to address the legacy of the Residential School system including the loss of languages. The National Film Board of Canada is committed to contributing to the preservation and revitalization of Indigenous languages through the creation and re-release of Indigenous-language versions of select films from our Indigenous collection. The films in this playlist are offered in several Indigenous languages: Inuktitut, Nakota (Assiniboine), Kanien'ké:ha (Mohawk), Cree, and Atikamekw. They are also available in English. We hope these films will be a useful tool for teachers and language learners. Join us in celebrating Indigenous languages with this rich playlist of NFB films! An account of how settler civilization has invaded Indigenous peoples' lives, governed their hunting, trapping, and fishing, confined them to reserves, and made it difficult to pursue traditional ways of life. César Néwashish recounts how his grandfather Louis Néwashish founded Manawan. History of Manawan, Part Two is a continuation of History of Manowan: Part One. The film discusses the repression of Indigenous knowledge, independence and dignity, with the advent of the white society. 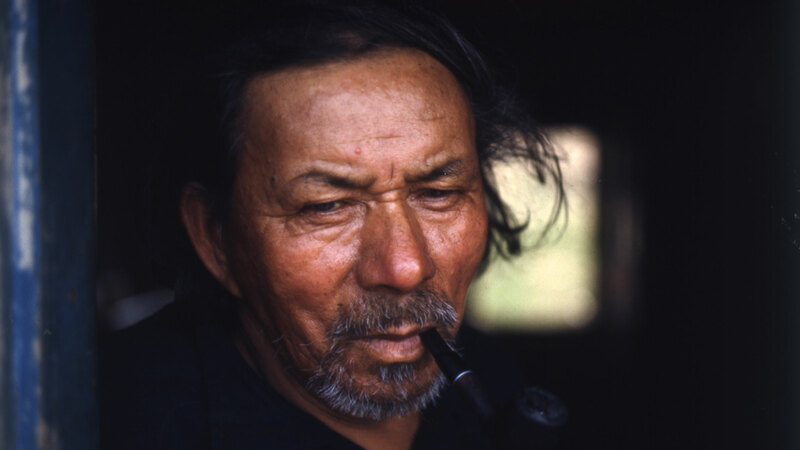 This feature documentary offers an overview of the changes experienced by the Inuit from 1950-1970 with their loss of sled dogs and semi-nomadic lifestyle. A controversial issue at the time, many Inuit still believe that their dogs were deliberately killed by the RCMP as part of government policy to force them off the land and into "civilization." Qimmit: A Clash of Two Truths explores how and why the sled dogs disappeared, a mystery that has left deep wounds across Canada's Arctic. The people of the Attawapiskat First Nation, a Cree community in northern Ontario, were thrust into the national spotlight in 2012 when the impoverished living conditions on their reserve became an issue of national debate. With The People of the Kattawapiskak River, Abenaki director Alanis Obomsawin quietly attends as community members tell their own story, shedding light on a history of dispossession and official indifference. “Obomsawin's main objective is to make us see the people of Attawapiskat differently,” said Robert Everett-Green in The Globe & Mail. “The emphasis, ultimately, is not so much on looking as on listening — the first stage in changing the conversation, or in making one possible.” Winner of the 2013 Donald Brittain Award for Best Social/Political Documentary, the film is part of cycle of films that Obomsawin has made on children’s welfare and rights. This short documentary is a quiet elegy for the ancestral Inuit way of life, which exists now only in the memories of those who experienced it. Bonnie Ammaaq and her family remember it vividly. When Bonnie was a little girl, her parents packed up their essentials, bundled her and her younger brother onto a long, fur-lined sled called a qamutik, and left the government-manufactured community of Igloolik to live off the land as had generations of Inuit before them. For 11 years their home was not just the small shack called “Outpost Camp” but the entire vast and beautiful territory that lay outside its door. For them, the wild open tundra wasn’t just somewhere to live, it was somewhere -- whereas the settlement of Igloolik, with its raucous snowmobiles, flat and snowy landscapes and relative hustle-bustle, is unquestionably nowhere. “The North is the place where I feel I’m completely myself.” In this evocative short, Inuit singer-songwriter and humanitarian Susan Aglukark weaves together stories of artistry, family, and belonging as she explores the complex cultural shifts of the last 50 years of Inuit life. Turning her lens on the turbulence of colonial transition, director Nyla Innuksuk examines the forces that shaped Aglukark’s voice and how that voice is now being translated for a new generation of Inuit artists. “When you don’t know your language or your culture, you don’t know who you are,” says 69-year-old Armand McArthur, one of the last fluent Nakota speakers in Pheasant Rump First Nation, Treaty 4 territory, in southern Saskatchewan. Through the wisdom of his words, Armand is committed to revitalizing his language and culture for his community and future generations.